This classic zip-around wallet is made from soft nappa leather in the new micro-macro workmanship. The unique look is achieved with a degradé diamond intrecciato weave in subtly graduating shades and sizes. 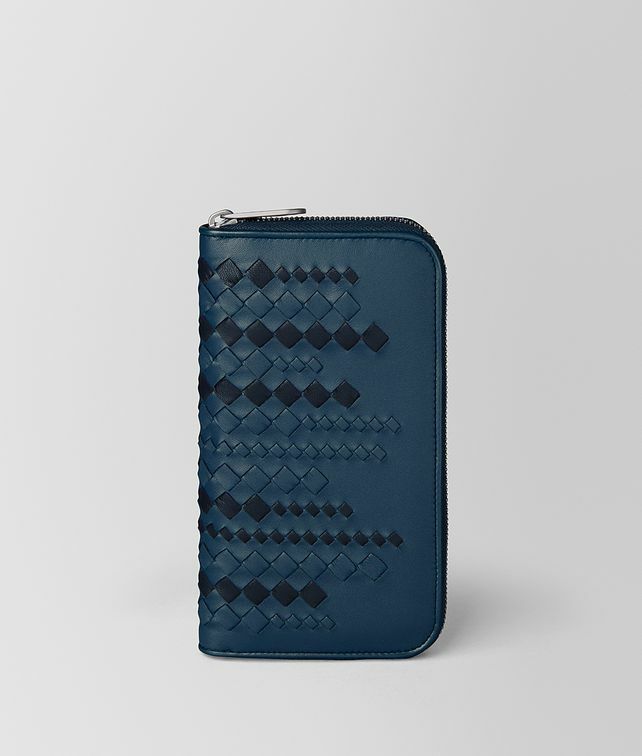 It features eight card slots, two note compartments and an interior zip pocket.